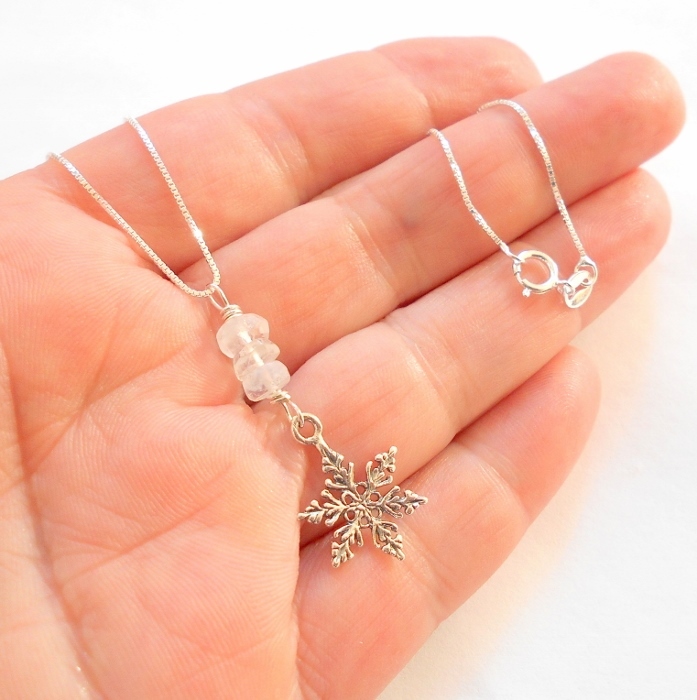 Three flashy faceted rainbow moonstone gemstones set in a sterling silver snowflake necklace. 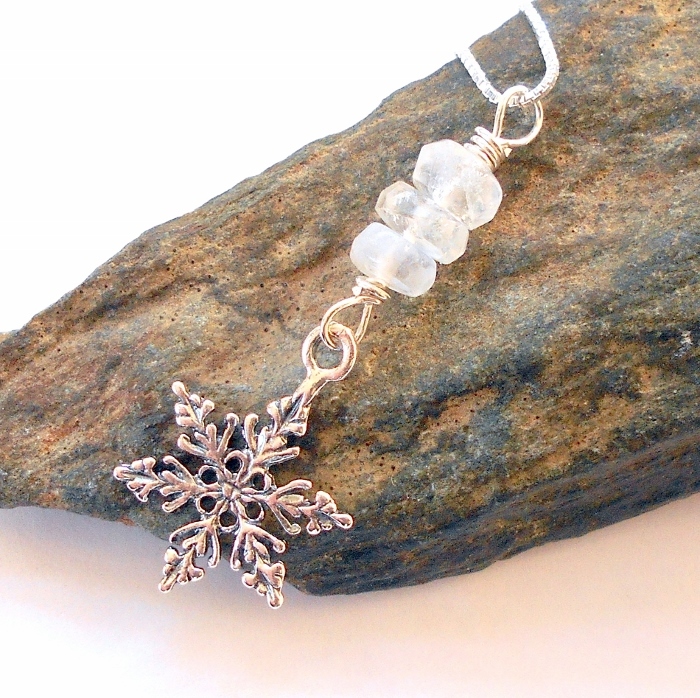 Rainbow Moonstone has wisdom and the feminine goddess energy of the waxing and full moon, has a calming energy. 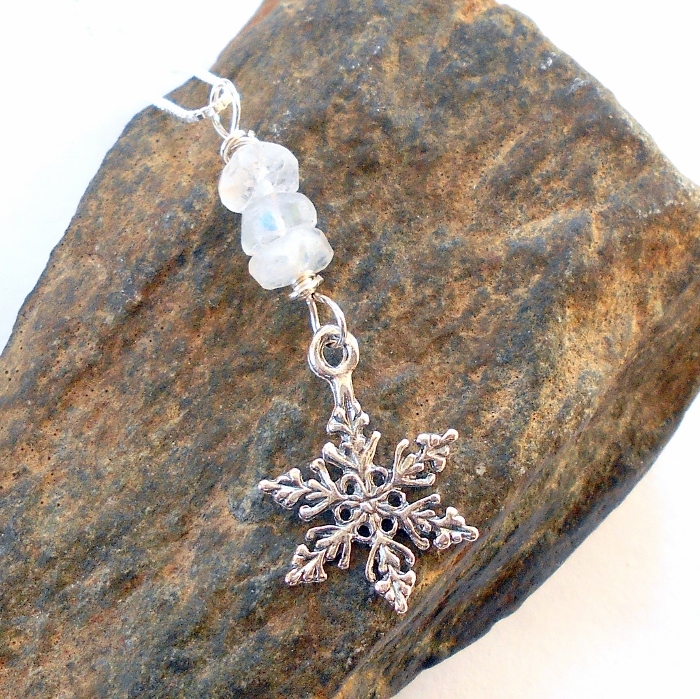 It strengthens intuition and psychic perception and brings balance and harmony.